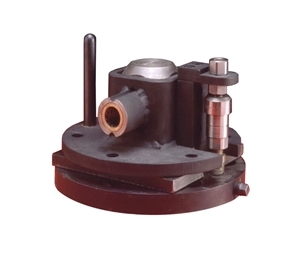 If you are molding large items that run separately on an arm (or arm side) and are looking for a way to quickly change out the mold, our quick change device is an excellent option. Operated by a rod extender that reaches to the outer edge of the frame, there is no need to reach in, under or through the mold to remove it from the arm. Feel free to contact us for sizes and pricing.